Mohamed Barry stepped up to the podium Monday morning and was asked about whether the team had been given Blackshirts yet. “Nope,” the inside linebacker answered. Do you have any indication about when they’re coming? The decision about who gets the practice jerseys instead rests with the coaching staff. When defensive coordinator Erik Chinander met with the media on Tuesday, he said a decision has already been made. That’s why we haven’t heard anything about it. “We talked about it as a staff — Coach [Scott] Frost and some of the other guys — and there are two contributing factors right now,” he said. “Number one, the 'ors' and the 'ands' [on the depth chart], some of those battles aren’t won yet and are still being fought. We didn’t feel like handing out a Blackshirt to one of those guys that is an 'or' or an 'and' would be fair until we get a live evaluation. The last time Nebraska was inside Memorial Stadium for a game that mattered, it was blown off the field 56-14 by Iowa. The Hawkeyes scored 42 unanswered points in the second half, piled up 23 first downs, 313 rushing yards and six scores on the ground. “We don’t feel like anyone deserves them yet until we see what they do in Memorial Stadium,” Chinander said. The first opportunity will be Saturday against Akron when the team opens the season under the lights of Memorial Stadium. Last season the jerseys were given out on Aug. 28. This time around, it seems, they won’t be given out but rather earned after the team takes the field. Sixteen defenders received one last year. Will more than the usual starting 11 get them this season? >> Defensive backs coach Travis Fisher said he doesn’t like to rotate his corners. He gets his starters by way of his offseason performance chart, gets guys ready to back them up and plays them as needed. Chinander said “it’s likely there will be a lot of people playing on Saturday,” but Fisher seemed adamant that Lamar Jackson and Dicaprio Bootle, the two starters on the team’s first depth chart, were going to play the bulk of snaps. >> Sophomore safety JoJo Domann met with the media and talked about his recovery from two knee surgeries and how he’s playing now. He said he approached his second rehab differently than his first having been through the process and knowing when and where he could push himself. 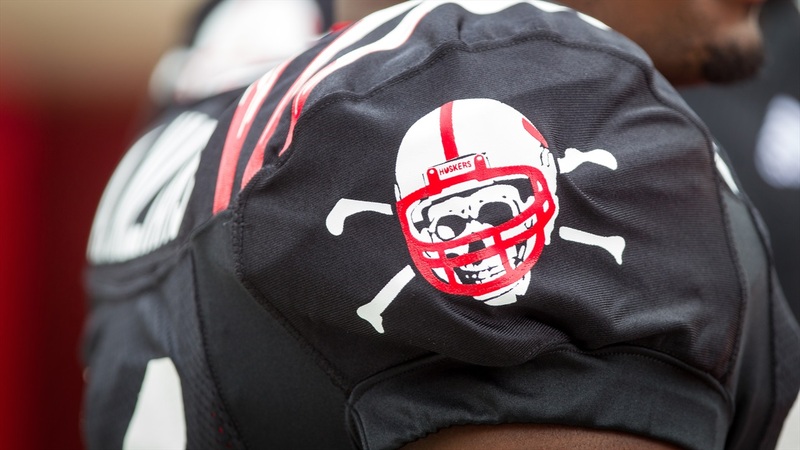 >> There are seven “ors” that pop up on the defensive side of the Huskers’ depth chart. Chinander said sometimes those show up to keep players happy (irony anyone? ), sometimes they show up when a staff is trying to out-scheme an opponent and sometimes they show up because two guys are just fighting hard for that one spot. Chinander said in this case, it’s the latter. >> Asked about Akron, the first opponent on the team’s schedule who has somehow become an afterthought early on this week, Chinander was complimentary. “You’ve got a year’s worth of film to look at and whether they do what they’ve done or change it up, I don’t know,” he said. “I know they’ve got a really good quarterback that’s going to run around and throw it, they’ve got a really good receiver that can take the top off and they’ve got a returning running back that’s pretty good.